Shaping the future of OES ! Analyse screws, pins, wires, foils - with ease ! The new ease of use for all shapes of samples ! QLX 3 is excellent in automotive applications ! Cover multi-metal applications, highest flexibility in calibrations, coatings, galvanised, electro-plated metals and much more.. 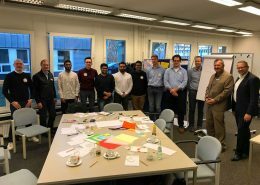 The management team of QuantoLux looks back on decades of experience. Our learning curve started in the late 1980s with photomultiplier spectrometers, spark generators with auxiliary gap, lots of EEPROMs and CP/M Software. We pushed innovations with channel photomultipliers and CCDs as the next generation of detectors. With QuantoLux we now challenge conventional technologies and shape the future of OES. New excitation and detection systems bring tons of high-value benefits to our customers. We understand your applications and know your Problems and we focus on solving them. QuantoLux is your 5-star Partner for elemental analysis. With the new QLX spectrometers you perform a full elemental analysis typically in less than 5 seconds per reading! Faster response to the process, higher sample throughput. Multiply your efficiency! OES has been the preferred method in metals analysis for decades. And lasers are used in analytical applications for more than 30 years already. 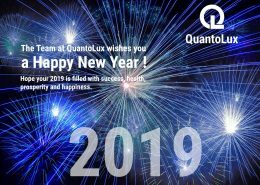 QuantoLux relies on its expertise and technologies that have a successful, proven track record. MSI Technologies (Malaysia) Sdn. Bhd. MSI Technologies (Thailand) Co., Ltd.
140/13 Moo 12, Kingkaew Rd. 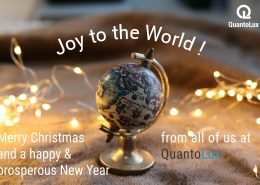 https://quantolux.de/wp-content/uploads/2019/01/HappyNewYear2019-small.jpg 932 1488 Quantolux http://quantolux.de/wp-content/uploads/2016/06/cropped-WPHeader_ql-logo_RGB1-2.jpg Quantolux2019-01-02 20:08:022019-04-17 11:03:20Happy New Year! The QLX product line is a portfolio of stationary benchtop system as well as portable instruments. All Instruments in this line feature our proprietary laser excitation system as well as latest state-of-the art CMOS detectors for improved performance. Laser-OES offers many benefits and allows to easily handle applications that you never thought possible on your spark spectrometer. All that with less sample prep, shorter measurement times, neglectable Argon consumption, and zero maintenance. Join the future of OES ! Here are even more value-packed features! We are continuously extending our portfolio of existing standard applications. Focussing on metal applications first, we cover all ferrous and non-ferrous alloy groups not only with their alloying elements, but with many accompanying elements and traces. Our application team is also prepared to create custom calibrations for your special needs. Published calibrations are available in our analytical app store for download and activation. QLX 4.0 is a beautiful software and a pleasure to work with. Routine operation with start/stop buttons, auto-average and share functions are just as simple as on your smartphone. Different user profiles allow to tailor the available functions to individual requirements. Result display can be setup to your needs with element names, order, decimals, and units. Grade limits can be shown to highlight deviations. Formula expressions may also be defined. Auto- and dynamic settings reduce your setup work and automatic programme selection ensures that you are always in the right analytical method. The new workflow generator allows to create your analytical process with the necessary steps. QLX 4.0 will then guide the operator through this process ensuring that nothing is missed. Several online services enable you to communicate with your customers, retrieve results, download grade specifications, or obtain support from QuantoLux customer service. 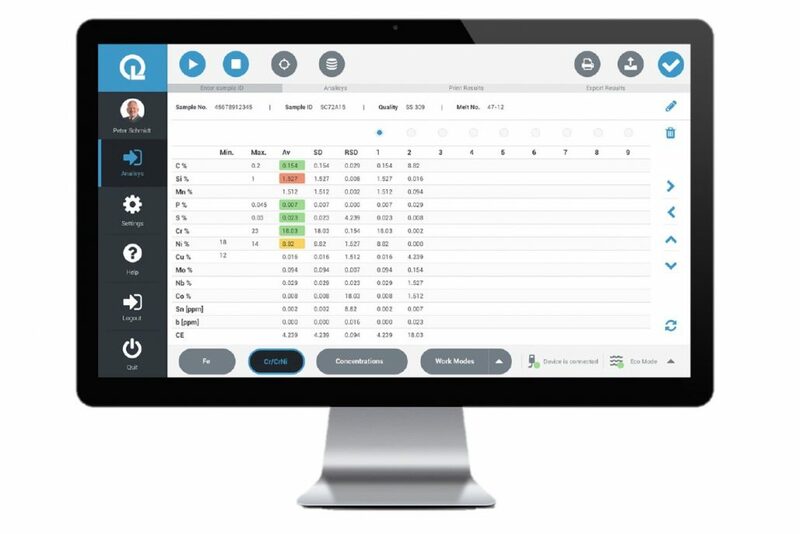 The QuantoLux app store offers calibrations for download adding flexibility to your analytical expertise. All the functionality you need and the comfort & flexibility you deserve – Welcome to the future of OES. Ensure that you don’t miss any of our news! We will progress at lightning fast speed, adding new features, applications, and products! Make sure you don’t miss our free webinars or the chance to experience our systems on the QLX Elemental Tour! Stay alert and sign-up!